The New Year is coming and with it all the opportunity for change and growth that you could ever want. It’s normal to make resolutions at this time of year, promises that will improve your life, your relationships or your work. While you’re setting these resolutions, make sure to base some on improving your general health as well. And if you’re struggling to find resolutions that will help, here are some that will make 2019 a happy and a healthy year for you. You probably already know that you need to eat more fruits and vegetables, but did you know that you should be eating a rainbow? Fruits and vegetables of different colours contain different phytonutrients, all of which are essential for good functioning. So if you eat the rainbow every day, you’ll be much closer to getting all the nutrition you need. Laughter does more than make you feel happy. It also boosts your immune system, eases pain and can help fight allergies. This is a habit that children indulge in, but forget as they grow up. So set a resolution to laugh more each day, and seek out ways to make it happen. Your body is more than 70 percent water, which is why dehydration is so damaging. Water lubricates your joints, makes your skin better and even improves your oral health. So make sure that you’re drinking at least 8 glasses a day to really start seeing a difference in your general health. When you’re busy and stressed, the first thing to go is usually sleep. After all, what harm can it do to miss a few hours here and there? But thinking this way is a mistake. No matter what anyone says, your body can’t function at its best if you’re not getting enough sleep. This is time that your body needs to heal, to relax, and to prepare for the new day, so honour that and take the time you need. This doesn’t mean that you have to join a gym. Even a quick walk around the block every day will improve your mood and start toning your muscles. And no matter how busy you are, you can always find 15 minutes to gain these kinds of benefits. If you sit at a desk all day for work, chances are that your posture isn’t very good. Working at a computer tends to make people round their shoulders and hunch forwards. This can cause neck and back pain and cramps the lungs so it’s harder to breathe. Work on straightening and lifting. Not only will this improve your muscle tone, it will make you feel and look better too. You probably don’t really know what’s in your food. If you’re trying to lose weight and struggling, then start learning about the measurements and ingredients on labels. You’ll probably be really surprised which foods have a lot of hidden sugars in them. If your oral health is bad then it can affect your entire body. Infections from your mouth can travel throughout your system and cause heart or lung infections or even end up in your brain. So make sure you visit the dentist regularly and take care of your body from the mouth outwards. Stress is one of the biggest killers in the modern world. It’s linked to heart disease, stroke and different types of cancers as well as to mental health disorders. So if you really want to improve your life, look at your stress levels and take steps to reduce or eliminate causes of stress. You can also adopt practices that reduce stress such as yoga or meditation. This is the big one. A recent Harvard study conducted over decades showed that the key to health and happiness is relationships. Not money. Not your job or car. It’s how connected you feel to the people and to the world around you. This is a truth that’s often forgotten in the modern world with devastating results. Loneliness or disconnection has been linked to mental health disorders as well as to a variety of physical diseases and problems. So have a look at your relationships. Do you have enough in-person relationships? How connected do you feel to those people? And if you have reasons to be concerned, then take steps to improve the relationships you have and to forge new ones. This is one change that you will never regret. So have a happy and a healthy Christmas and New Year. And if you have a dental emergency over the festive season, contact our Emergency Dentist in Sydney. 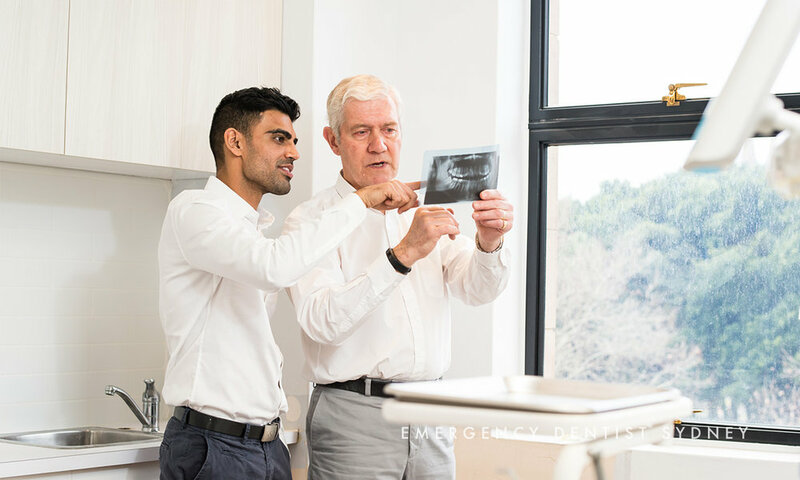 Our caring and expert staff are available 24 hours a day to help you with all your emergency dental needs. Older PostIs Tooth Enamel Loss Really Permanent?